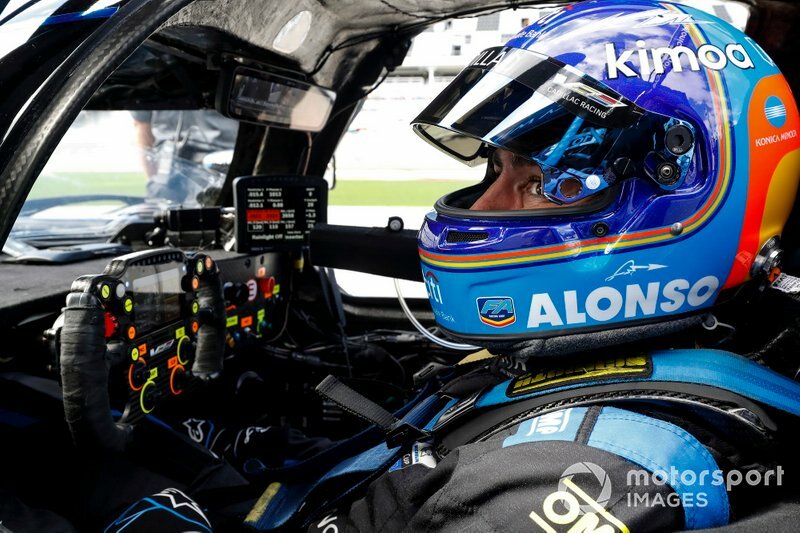 After taking his sportscars bow with the United Autosports LMP2 squad in last year’s Rolex 24, Alonso returned to Daytona with the sole objective of winning. And as part of Wayne Taylor Racing’s crack squad in the #10 Cadillac DPi-V.R, that’s exactly what he did, surging up the leaderboard every time he drove in the car. When the weather took a turn for the worse, he was spellbinding, and while constant caution periods kept the lead fight close, he was usually extending his lead when the yellow flags weren’t out. Proof, if any more were needed, that he’s the full endurance racing package now. 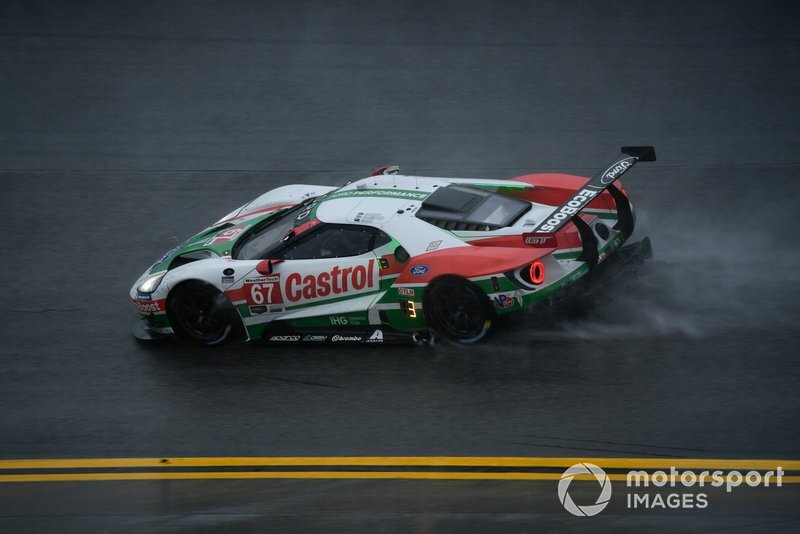 Ford can feel aggrieved it was denied a third straight GTLM Rolex 24 win, with the race-ending red flag coming out immediately after the #67 car’s final pitstop. 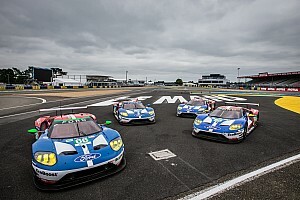 That followed a storming comeback from five laps down in the early stages, a comeback that Westbrook played an instrumental role in, and the Briton was handed the unenviable task of taking over after the first red flag, when conditions were still treacherous. After cycling through to the front at the penultimate caution, he didn’t put a wheel wrong and had gapped the chasing pack when he had to pit under yellow just before the race stopped. 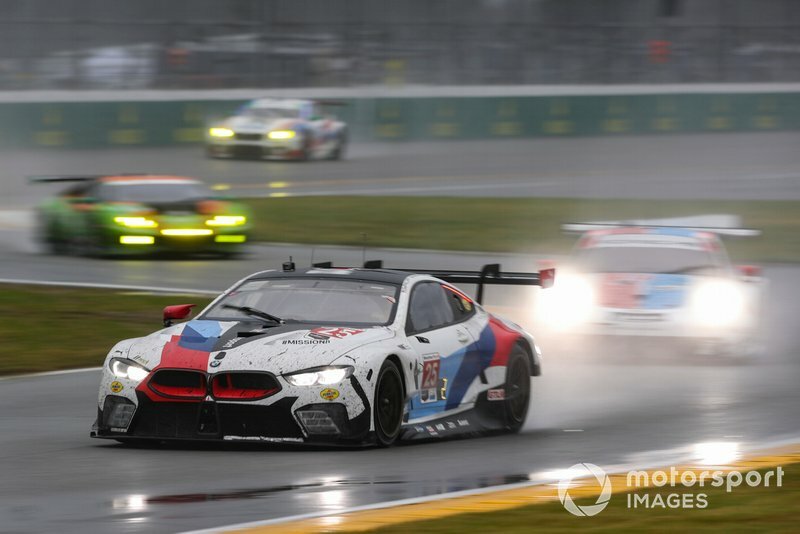 Although the #24 BMW M8 GTE was one of only a few GTLM cars to enjoy a largely clean run, it was Farfus that propelled it into winning contention with his awe-inspiring display in the final laps of green-flag running. Some 20 minutes from the final caution, Farfus was 11 seconds off the lead in fourth, but battled his way past Laurens Vanthoor’s Porsche before outbraking James Calado’s Ferrari on his way into the Bus Stop – a ballsy maneuver in such poor visibility. That turned out to be the winning move when the #67 Ford had to pit just before the red flag, handing BMW an emotional victory. 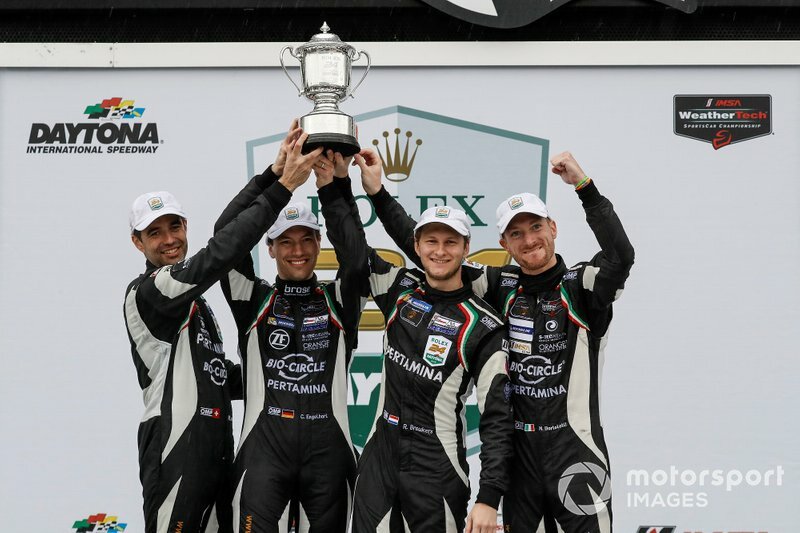 Having been in the ‘wrong’ Grasser Lamborghini last year, when the squad sealed GTD honors for the first time, Engelhart partnered three of the 2018 winners this time around. In the closing stages, the former Blancpain GT champion expertly guided the #11 Huracan from a lapped ninth to first, taking advantage of spins for Luca Stolz in the Riley Motorsports Mercedes and Daniel Morad in the Land Motorsport Audi. So focused was the German that he wasn’t even aware he had taken the class lead until after the race was stopped, when he was finally delivered the news by his team. 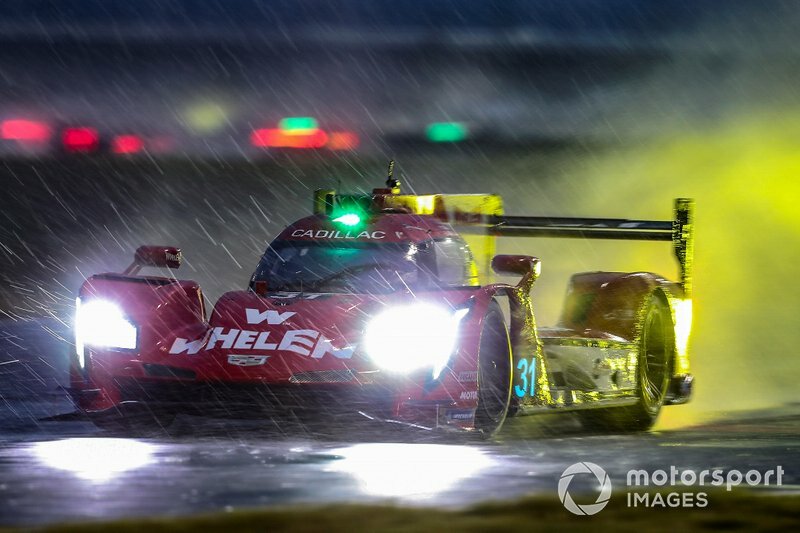 A year on from his IMSA Prototype debut at Daytona, ex-Formula 1 racer Nasr anchored the #31 Action Express Racing Cadillac’s near-faultless run, proving quicker than his more experienced teammates and shining late on in the heavy rain. 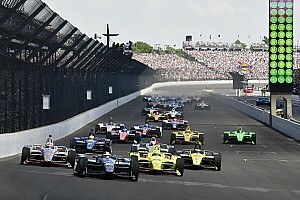 Had the race been called to a halt even just five minutes earlier, the #31 would have come away with the win, but as it was, Nasr had just aquaplaned and run wide at Turn 1 when the red flags were shown, relinquishing the lead to Alonso’s #10 Cadillac. But that shouldn’t detract from what was otherwise a very strong performance that bodes well for the Brazilian’s IMSA title defense. 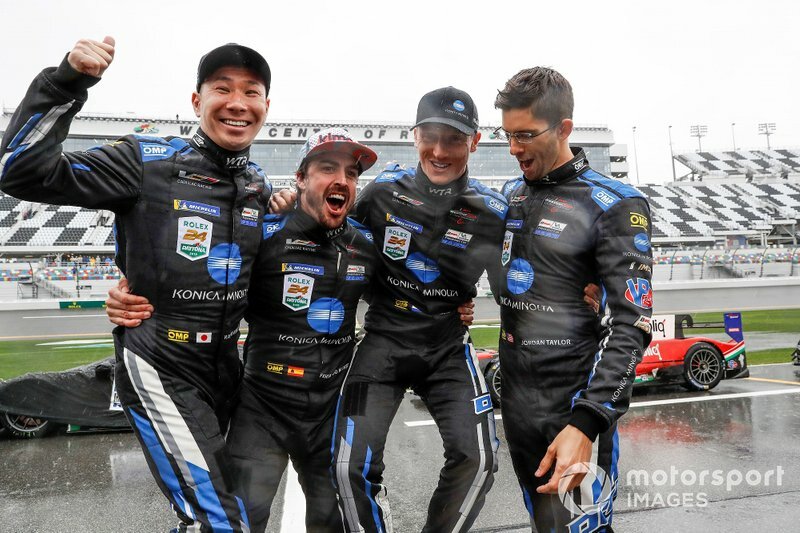 The hype around Alonso in a win-contending ride was always going to overshadow his teammates’ endeavors, but Kobayashi looked a match for his more illustrious partner. After Alonso took the lead for the first time and handed over to Kobayashi, there was a heart-in-mouth slide on cold tires, but the Japanese driver then calmed down, set what was then fastest lap of the race, and looked entirely composed while keeping the Acuras at bay – much to Juan Pablo Montoya’s chagrin! 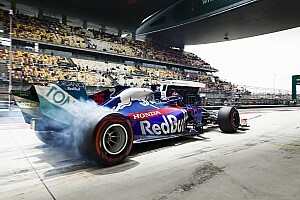 Kobayashi now stands as much chance as Alonso of winning the world’s two greatest sportscar races in the same calendar year, the first person to do so since Mike Rockenfeller in 2010. 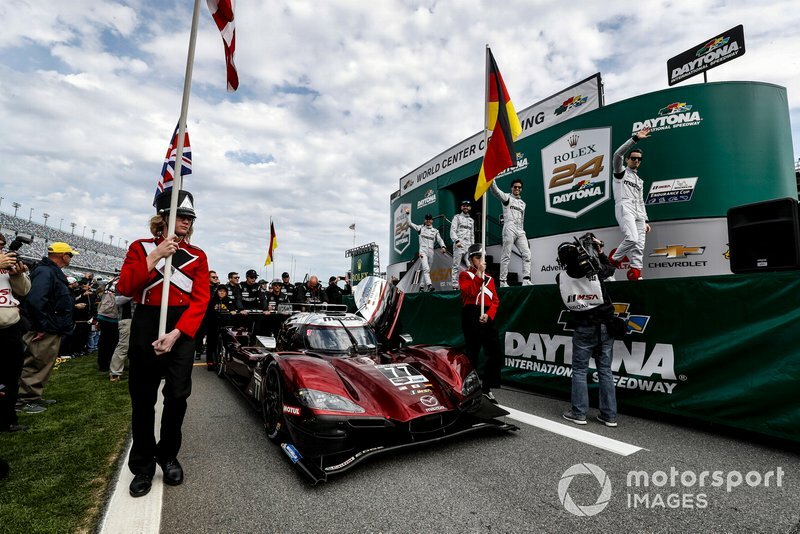 It’s tough for teams trying to make a big impression in their first outing with a Cadillac DPi-V.R when they’re directly compared to Action Express Racing and Wayne Taylor Racing, both of whom are into their third year with GM’s elegant bruiser. But whereas JDC-Miller is an IMSA stalwart, Juncos is new to the Prototype game. 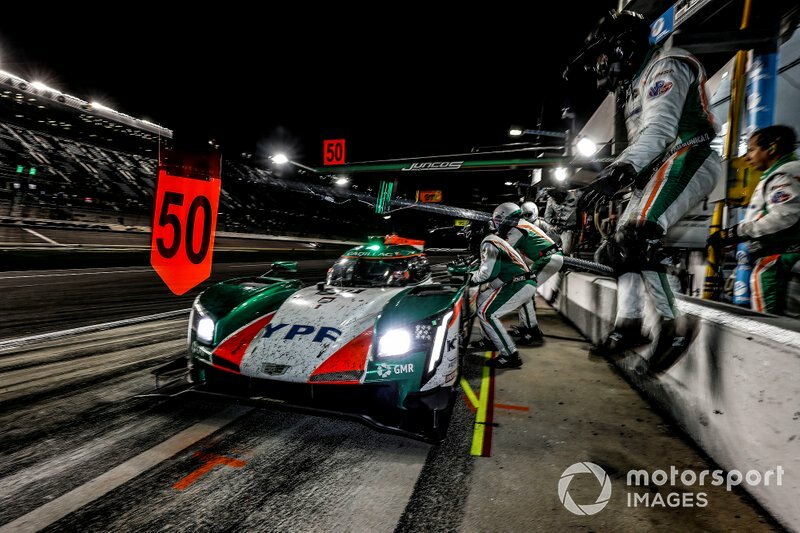 Yet Ricardo Juncos’ Caddy was fast, especially with GT and TC legend Agustin Canapino at the wheel, despite the Rolex 24 being his Prototype debut. 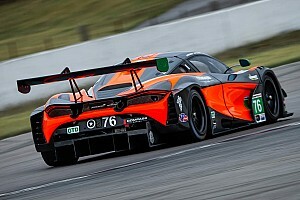 He qualified just 0.2sec slower than Jordan Taylor, and apart from a brief spin in his first stint, he scarcely put a wheel wrong in the race, even if the car suffered outrageous misfortunes. 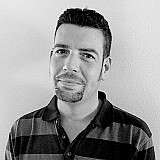 Canapino deserves to be an international star. Keating is a great example of an amateur who has made himself seriously good with each passing season. After earning his stripes in a Porsche 911, he got the hang of throwing long-hooded GT cars around driving Dodge Vipers to several wins and podiums and learning assiduously from long-time friend and co-driver Jeroen Bleekemolen. But arguably Daytona this year was Keating’s best ever performance in a Mercedes-AMG GT3. 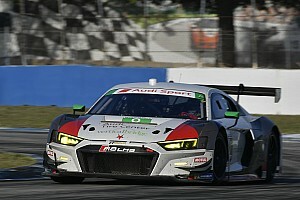 He qualified the car second, and kept it in the lead fight throughout a quadruple early stint. Co-drivers Bleekemolen, Luca Stolz and Felipe Fraga were then similarly impressive until Stolz spun in the wet. Up to that point, the #33 fully deserved GTD victory. 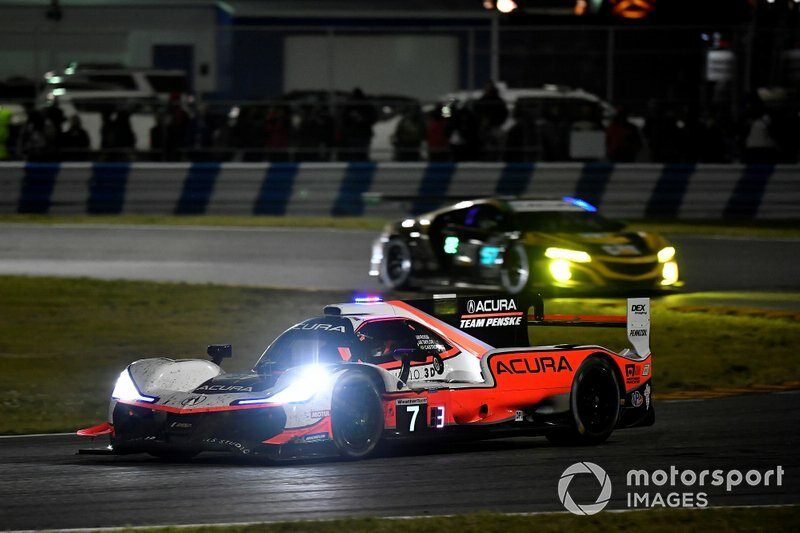 If it’s hard to pick the brightest light from a star-studded cast of six Acura racers – they all shone at some point over the 24 hours – the nod should go to the guy with the least experience of the ARX-05. 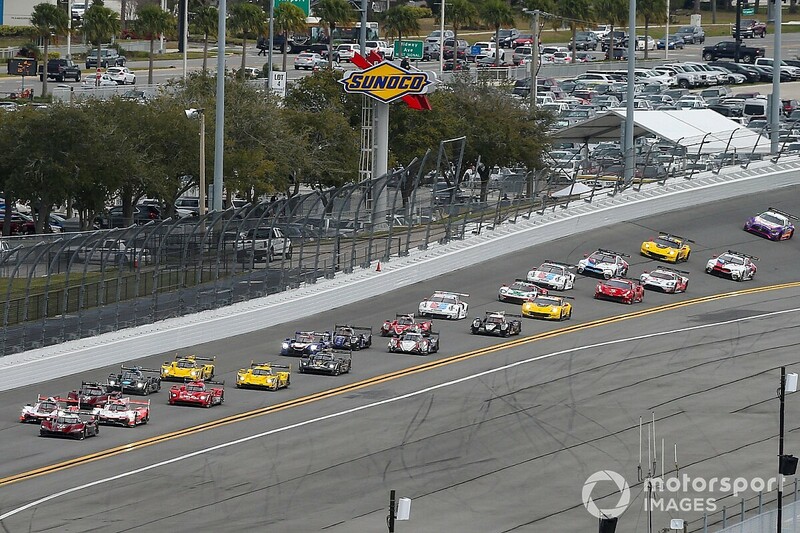 Rossi was drafted into the team as a somewhat last-minute replacement for Graham Rahal, but he was immediately on the pace, and come race day he learned how to go Cadillac-threatening fast while also conserving his tires. 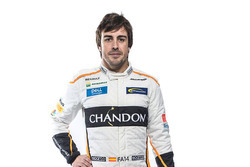 He also kept his cool while dueling with teammate Montoya, and showed fine judgment dealing with GT traffic. Last year’s IndyCar runner-up will have made a strong impression on Roger Penske, and we look forward to seeing him reprise his role at Sebring next month.